Anne Carton is a small business consultant, digital marketing expert and blogger working with Designhill, the world’s largest online graphic design marketplace. Ann primarily writes about social media and growth hack strategies, SEO and e-commerce. With more and more businesses across verticals and industries creating content, people have become desensitized towards brand content. People now look for and essentially demand content that gets them involved, creating a more personalized and memorable experience. Quite obviously, the competition on the web has become fierce, forcing businesses and content marketers to become more creative than ever before in their content endeavors. Everyone seems to be in a maddening frenzy of creating content that gets the audience involved by providing a more personalized and memorable experience. But when everyone is trying to capture the fancy of today’s discerning audiences, how will you make sure your content marketing strategies make you stand out from the crowd? The answer is simple! You’ll need to embrace the trends of tomorrow to stay ahead in the game. Soon 2015 will fade into history, so it’s time to forecast which content marketing strategies are most likely to follow through in 2016 and which of them will die a fast death. So if you’re the curious kind, we present to you the innovative, upcoming trends in the world of content marketing to help you deliver maximum value and minimize the impact of the ever-changing and demanding market. 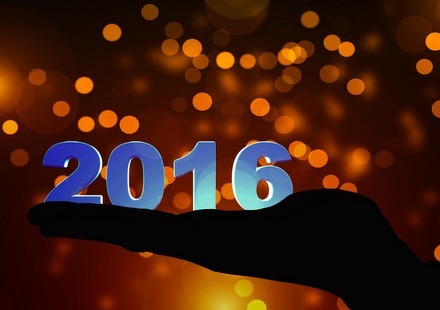 Want to deliver valuable content in 2016? Learn how to build a brand journalism program with Cision’s free white paper! Storytelling has long been a powerful way to take and showcase elements of your brand to the world in a way that’s even more awesome. In fact, storytelling compels users to convert more effectively. And that realization is pushing a lot of marketers to tell great stories, using interactive content to deliver their message in a new way. Given that interactive storytelling is slowly taking center stage in content marketing, it could mean that, soon, interactive storytelling will be the norm, rather than the exception. And if you’re really looking forward to standing out in the ever-so-competitive market, do yourself a favor and get Cision’s free white paper – A Roadmap to Multimedia Storytelling. Last year, Episodic Content was a big hit among businesses and marketers. The popularity was spurred on by big brands including episodic content in their content marketing arsenal. The “Crossroads” series by Coca-Cola is a nice example of episodic content that gained huge applauds to the company worldwide. Episodic and series-based content is one of the most powerful tools to engage and entertain audiences, in equal measures. In 2016, there will be more episodic content published in storytelling method because of its enormous advantages. Social media has long been the fuel driving the marketing machine. And social media is another 2015 trend on the list and is likely to make waves in the year 2016. However, in the year ahead, marketers will move beyond the usual Facebook, Twitter and LinkedIn trinity to push, distribute and promote their content, for these channels are already overused. Therefore, marketers are exploring lesser-known channels such as Periscope and Meerkat to market their content. Having said that, it’s important to mention here that Instagram and Snapchat will continue to stay on the content marketing checklist for 2016 for the simple reason that marketers have not yet fully explored their potential to connect with target customers. This is a pretty audacious bit of 2016 prediction. Social media influencers in your marketing can help you advance your own business interests in the years ahead. Publishing your content on such influencer blogs or social media accounts helps you take your content to a wider audience, according to Cision. Though influencer marketing is still in its nascent stage, we’re sure more and more marketers will launch an influencer marketing campaign to explore the umpteen advantages associated with it. This was a winner last year and it’s still here, the “visual” trend. In fact, marketers who leverage visual content are effectively able to drive traffic, enhance social media engagement, boost visitor-to-lead conversion rates and increase inbound customer acquisition results. This is why we’re sure to see more of visual content in the year ahead. In a blog published at Forbes, writer Daniel Newman reveals that static, text content is already a passé and has been replaced by visual content. With more options to creatively present the content, businesses are likely to offer vital information in the way and format users want and essentially demand. More and more marketers are likely to incorporate images in blogs as well besides creating separate visual content in the year to come. Here’s another 2015 trend on the list. From reviews, to social posts and blogs, user-generated content is set to become an integral part of content marketing. A large number of businesses are already using user-generated content in their websites, social media posts and advertisements. Watch out for more businesses embracing user-generated content in 2016. Content distribution remains one of the most significant parts of content marketing. A targeted distribution strategy yields better results in terms of brand interaction and engagement. This realization has pushed many marketers to explore paid, earned and owned distribution channels to reach out to customers, build credibility, drive traffic, generate leads, boost conversion and attract sales. Yep, we saw plenty of businesses going mobile-friendly last year. And we’re going to see more of the same this year. With 3.65 billion mobile users across the globe, you need to incorporate content that’s mobile-friendly in your marketing strategies. Responsive website design, embedded videos and other mobile elements will become staples of content marketing in the year ahead. Invest enough to make a real difference and succeed in your content marketing endeavors. The year ahead seems to be a merry time for content marketers as far as budget is concerned. The Content Marketing Institute reveals that 93 percent of businesses plan to increase their investment in content creation in the upcoming year. This one means we’re set to see marketers pushing and promoting better content in the months to come. So there you have it, our 2016 content marketing trend predictions. The trend that seems obvious, at this point, is that content marketing is going to move towards an approach that values simplification and accessibility. We’re sure more awesomeness will come in the world of content marketing. So, get set to embrace these content marketing trends of tomorrow and spearhead the market.